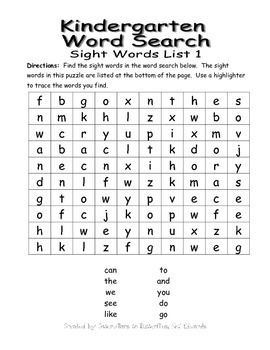 This packet includes four word search puzzles that include 10 sight words in each word search puzzle. 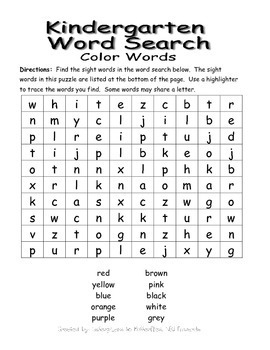 This packet also includes a color word search, a zero to ten numeral word search, and one word search puzzle with more commonly used words. 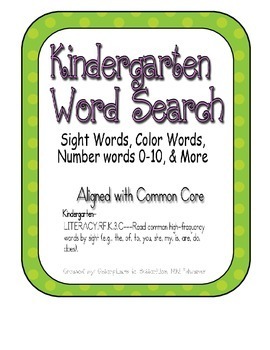 After you teach ten sight words then use the these puzzles to help your students review these words. Your students will enjoy finding these words in the puzzles. The first couple of word searches are simple. The words do not cross or share letters. As you go through the puzzles they start to cross or share letters. 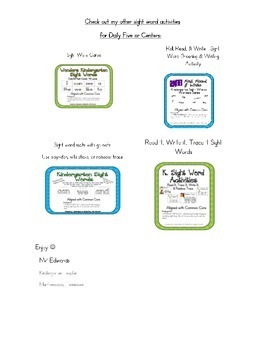 Check out my other sight word activities.